This includes a 6 day field trip to Big Creek Reserve in Big Sur from August 12-17. Hrs. approx. 7:30am-5:30pm daily. ***The summer course is intensive. Be in swimming and diving shape, come prepared. Rescue certification ***Contact Sloane Lofy (slofy@mlml.calstate.edu) if interested in taking a 2 day Rescue course prior to the Summer Dive Course. All date, location, buddy, depth, dive profile info required. We highly recommended to have 20+ dives. Admission based on instructor consent. Contact either instructor for info. The first step is to submit your MLML Diver Application by email to dsteller@mlml.calstate.edu. Priority given to MLML and CSU grad students, then undergrads, then outside applicants but we encourage all to apply. Course is being offered through SJSU Extension. After application is assessed, sign-up details will be provided to those who meet the requirements. 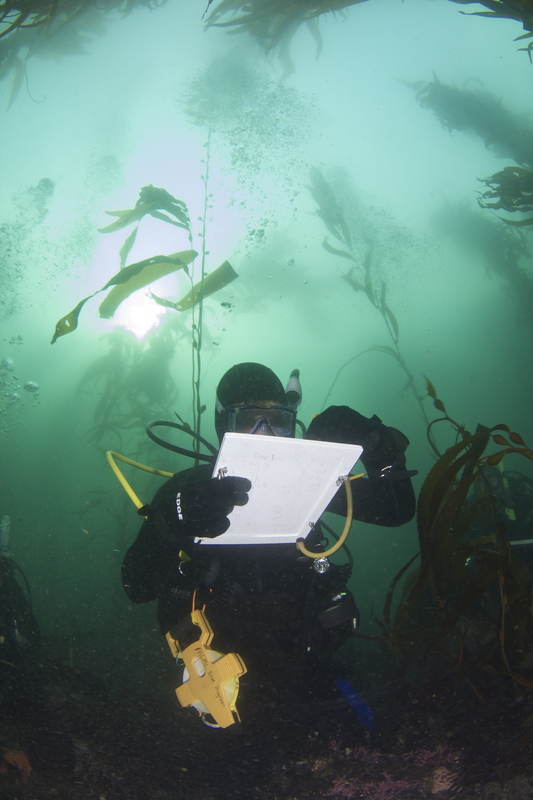 All other course paperwork can be found on the MLML Scientific Diving website. The first 9 items must be submitted to Diana Steller (dsteller@mlml.calstate.edu) by 20 July 2018. KEEP PERSONAL COPY OF ALL PAPERWORK. Costs cover: AAUS certification, REEF CHECK certification, NAUI Master Diver Certification, Training, cylinders & fills, dive vehicle transport, boats, engines, field compressors, sampling & emergency equipment (O2/AED), field equipment, access, camping and food for field trip to Big Creek UC Reserve. Wetsuit (7mm wetsuit minimum for ocean, surf suit ok for pool), dry suit ok if you have prior training and verification of training. This is not a dry suit training course.